Blue Ridge, GA - a quaint mountain town nestled in the North Georgia Mountains, just 90 miles north of Atlanta - offers spectacular mountain views as well as pristine rivers and lakes making it the perfect place to buy your mountain vacation home or cabin rental investment property. In fact, Smart Money magazine listed Blue Ridge, GA as one of the TOP 5 places in the country to make an investment in a vacation home. As the former owners of a very successful professional cabin rental management company in Blue Ridge, GA we have the expertise required to assist you in locating a property that will not only serve as a successful rental investment, but one that can provide you the perfect spot for a little R & R as well. Whether you are a first time buyer or an experienced investor, we can help you with choosing the "right" property. By providing you with the most up to the minute market data, we will assist you in making a well informed real estate decision in today's market. Our services include: assistance in locating properties we feel offer excellent rental potential, making an offer, aggressively negotiating the deal and financing. After the sale we will assist you in locating the best rental manager for your new property as well as provide you with valuable information about preparing your cabin to be successful in the local rental market. Now is the time to buy! You can currently find many short sales, foreclosures and bank owned properties in the Blue Ridge area that would make an excellent vacation home or cabin rental investment property. Put our experience and track record to work for you - Let us help you find the right investment property for the right price! 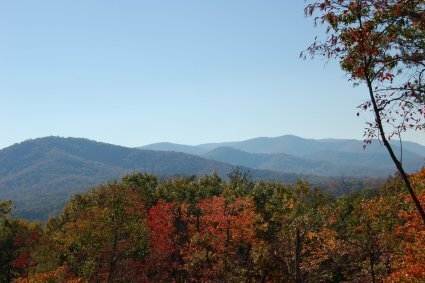 We can help with all your North Georgia mountain real estate needs! Looking for a vacation home that can double as a rental cabin or investment property when you’re not there? The quaint town of Blue Ridge in the North Georgia Mountains is the place to be! Have a vacation rental cabin you want to sell? You need US on YOUR side! With over 30 years combined real estate experience, we have the knowledge, expertise and marketing skills required to promote your cabin in ways that display its full income potential. By providing you with the most up to the minute market data, we will assist you in determining the current market value of your mountain home so you get the highest possible return in the least amount of time possible. Our services include: assistance in staging your home to display its full rental potential, actively marketing your property through our multi-media outlets, aggressively negotiating all offers. "Always responsive, courteous and helpful." Copyright © 2018 Gayle Barton. All Rights Reserved.